Welcome to the complete list of all the blog sites on the web (that we could find!) where you might consider starting a blog for the first time. The goal is to give you a list of all the options out there so you can start researching to determine what is the best for your budget, goals, technical requirements, etc. We’re going to keep adding to it and updating it each week. Oh, and this whole page doesn’t contain a single affiliate link, but it does have a cool scrolly graphic to watch over and over! Choosing the right blog site to use can be a really confusing process if you are new to the whole thing. You have to consider pricing, features, upgrades, etc. and all of this can get a bit overwhelming. Let’s start this post by having a quick look at some things to keep in mind when determining what blog site is best for you. These factors could go on forever so don’t take too much time thinking about it – just keep it in the back of your mind as you research. Note: Here at Blog Tyrant we have our own blog hosting recommendations if you want to get started with WordPress on your own server as quickly as possible. We still think it’s the most comprehensive blogging option. If you like this graphic I’d really appreciate a share on Pinterest as it helps get the word out about the article. This one took a really long time to put together so any support would make us feel all warm and fuzzy inside. Please keep in mind that these blog sites are not all created equal. Some are simple website builders while others are open-source, comprehensively featured mammoths. Thus, we are not recommending/reviewing each and every one, but rather are creating a comprehensive list so you can see the options and research further. If any of the information below is incorrect please let us know. We researched all of these by examining the list of features on the sites themselves (as well as some external reviews), but sometimes this information is a little bit vague and it changes regularly. Ideally we would have signed up to each one and tried it out but it would have taken months and tens of thousands of dollars. We’d be very happy to change or add things if anyone, including the sites themselves, would like a revision or correction, and we’ll do our best to keep adding sites and updating information. Is essentially a small web hosting company in its design and operation, but offers some other features for bloggers like 24-hour support, nice clear interface, and a bunch of design templates to choose from on the top plan. Pricing: 99 cents per month for the first year and $9.99 per month thereafter. At this level, you get a choice of 10,000 industry-specific design templates, 20 million stock images, and a custom domain name. 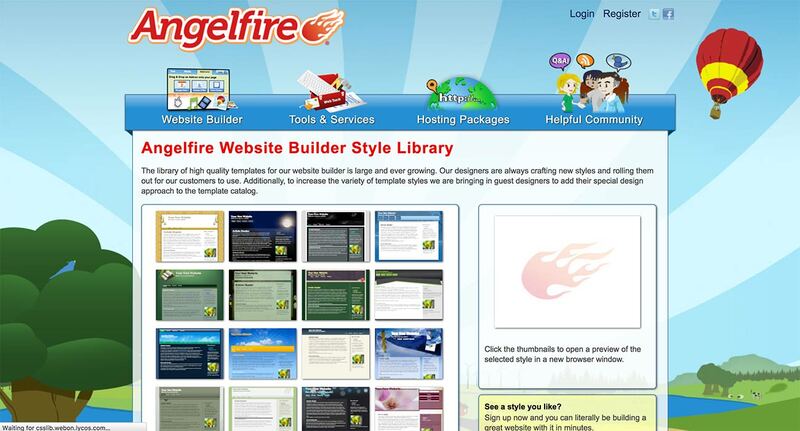 Angelfire has been around for a really, really long time and was where I had a website with flaming text back in school. I still have a big soft spot for it. Has a free plan but shows ads. It’s a little bit outdated by today’s design standards, unfortunately, but still has a very fun and friendly style. It’s such a shame that this site isn’t dominating with that great domain name, but we couldn’t even get it to load. Don’t bother. 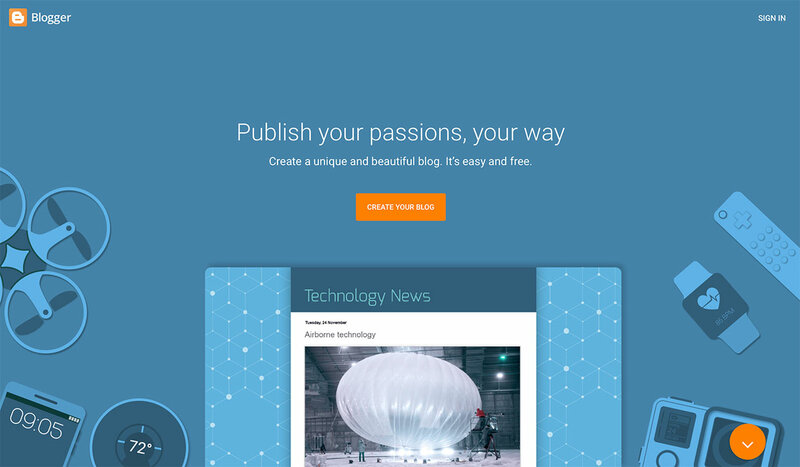 Blogger is now owned by Google and has been one of the most successful blogging platforms in history. All Blogger blogs are included in Google’s AdSense program by default, which means that the users can immediately start advertising on their blog. It lacks many features such as advanced plug-ins and tools but has all the basics like commenting, theme editing options, built-in analytics, and so on. The platform supports up to 100 authors on a single blog and offers a free mobile application. Good option for new bloggers and has been the choice of many popular bloggers as it is easy to learn, but may be too limiting for a few advanced uses. Pricing: Free. Charges for other additional services such as custom domain or premium themes. This is a drag and drop style website hosting with options for bloggers as well. Has over 15 million members and options for email lists and some other email marketing with responsive design options. Pricing: Blogging is free and paid options for further features. Cargo Collective is a personal publishing platform that enables its users to create accessible tools within a networked context – to enhance their exposure on the Internet. They have a lot of new releases about to happen and so the difference between the options is a little bit complicated, but some of the new functions and features seem pretty awesome. Keep an eye on this one. Pricing: Cloud hosting, 12 Projects, 3 Pages, 100MB Storage, Edit CSS, 5 Membership Invites with upgrades for $66/year or $9/month: Unlimited Projects and Pages, Unlimited Bandwidth, Advanced Editing, All Templates (30+). Great for coding enthusiasts and those who want to show of coding and front end development. It offers some unique features. Some of them include a collaboration mode which allow users to works together, professor mode which lets the user share his/her code with other students, live and interactively and send to phone via SMS. Most basic plan is the starter plan which allows two users, 10 projects, 10 people for professor mode, 1GB storage and unlimited bandwidth. Pricing: Ads will be shown on your site in the starter mode, so you’ll have to go for the developer mode which costs $14.25 to avoid them. There are also team plans available. Founded in 1999 and has launched over 500,000 websites. It’s a pretty simple and old-school design that doesn’t really sell its features very well. That being said, has things like an integrated store option, backups, integrated email marketing, support, etc. Some excellent specs but possibly not the up-to-date solution for new bloggers given it’s a bit on the expensive side. Pricing: $24.98 per month. Free 10 day trial available. Doodlekit markets itself as a website builder with a lot of code-free template building tools and lots of things like icons, fonts, backgrounds, etc. Most basic features like shopping cart, forums, form builders and image galleries are available. Free plan is available and offers 100 GB Bandwidth and 100MB storage. Pricing: From $10/month with a custom domain, five extra users, unlimited bandwidth and 3GB storage. All Drupal websites run a version of core. What makes each website different are the additional contributed modules that are added. That is often referred to as Contrib. These contib modules do everything from allow Drupal to understand and manage Dates to display Video. Like WordPress, it has thousands of free themes and plugins that you can install to change the way your blog operates. Comes with excellent security, bundles and starter kits, and is used by millions of people around the world. It’s considered by many to be a little more complicated to use than other open-source platforms like WordPress and Joomla, but many people prefer it as it allows you to be open with the coding language that you use. Pricing: Free to download but you need a server to install it on. Duda is mainly aimed at agencies who need to build a lot of responsive sites for clients and has some really cool features like a library of millions of free images and drag-and-drop site builders. You can sell 10 products on the free plan. Mobile-only sites available as well. But it seems as if you cannot migrate your site else where which could be an issue down the track. Strong focus on website speed and is used by some pretty big brands. Price: Free plans and paid plans starting at $14.25/month. Powered by WordPress, Edublogs is widely used blogging platform for education services, Universities, colleges and schools. It offers 250+ themes and no ads in the free plan. Edublogs lets you easily create and manage student and teacher blogs, quickly customize designs and include videos, photos and podcasts – it’s safe, easy and secure. Founded back in 2005, Edublogs Powers over four millions blogs. Even Stanford University, Cornell University, and City University make use of this service for their educational purposes. Emyspot aims to give beginners and easy website or blog building service that is responsive, free to use, etc. Free hosting, unlimited assistance, and other basic features are all available. Pricing: Free option available with some limitations, but there are some more expensive options for showcase sites or online stores, etc. 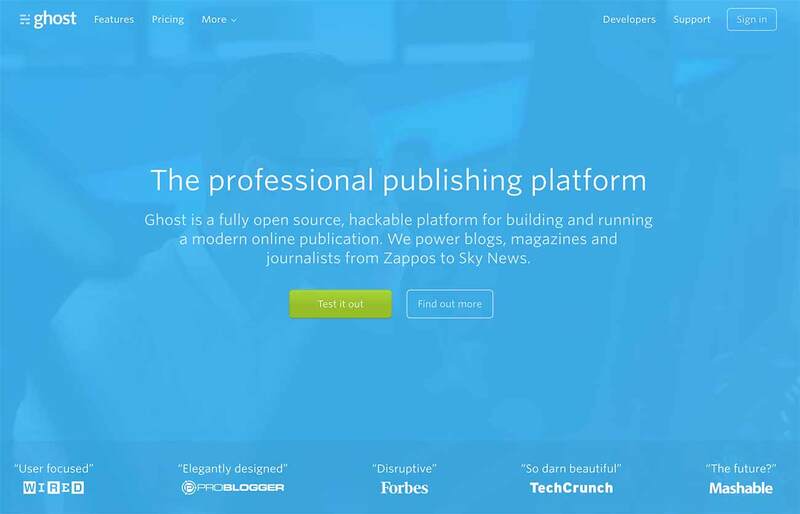 Ghost is one of the more beautiful blogging sites out there, and I suspect it will keep growing. It is very simple and flexible to use for beginners. There is a separate screen for your content creation and preview, which means whatever you type on the content creation page that will reflect on the preview page of your blog. The Ghost dashboard is really stunning and easy to use, and you have the option to sign up for a preview and test it out live before you sign up. It’s missing a lot of features like plugins and so on, but it really does well for what it is for – a minimal blogging service. Pricing: $29 billed monthly – 1 blog, 50,000 views / month, unlimited transfer and storage. Ghost does not offer a free hosted plan (has 14-day trial). However, you are not limited in the hosted version in any manner. Then there are advanced, team and business plans. Squidoo, once owned by Seth Godin, was sold to HubPages. The idea is that you write about your passions and can earn experience points and even an actual – the more page views you get the more they pay you. It’s a really clever idea and, although not really suited for many uses, it could be a fantastic place to practice and get used to how networks of people who are focused on one topic or niche work and interact. This is a really simple but visually attractive website builder where you choose a theme and customize it and then get going. Unlimited hosting, connect your own domain, access to all themes. There’s more features on the higher plan and reseller options are available. Pricing: There’s free options but then the reseller accounts start at $350 and go all the way up to $25,000. 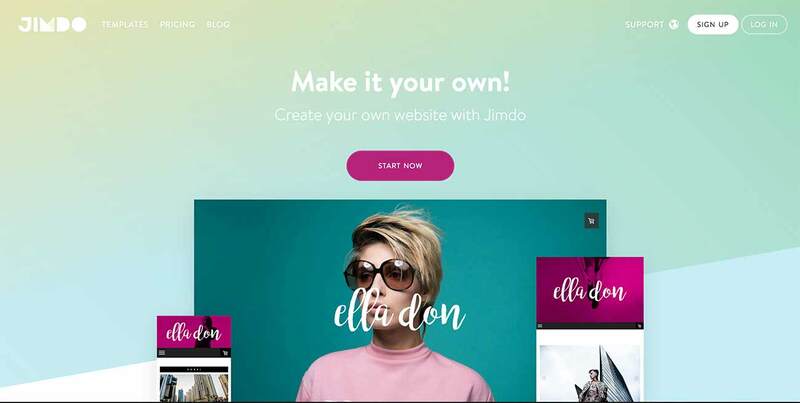 Jimdo is a really cool looking website and blog hosting platform that has some very funky templates and theme options. They’ve put a lot of emphasis on making it as clean and practical to use as possible. Has a template builder and seems to have a focus on blogs that want to showcase a bunch of photos as there is a big focus on images and galleries. Has a separate App for editing your blog on the go, which is something a lot of platforms lack. Pricing: Starts at $7.50 a month. Joomla.com is the free blogging version of Joomla.org and has all of the basics that you’d expect from a large blog site. It is an open-source platform where the .com version is hosted for you and the .org version lets you download it for yourself so you can tinker away. Has millions of users and a very large community which is good if you run into trouble or need some support. This is the paid version of Joomla.com and is one of the world’s biggest blogging and website hosting services. It’s fully open source and has an incredible community that is constantly updating and working together to build something that they enjoy. 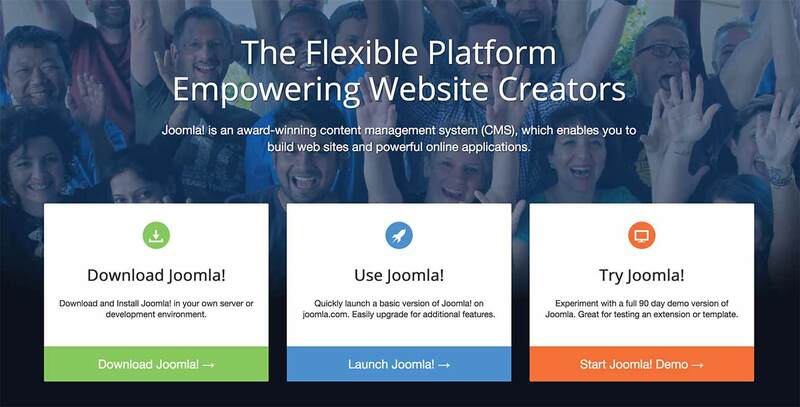 Over 3% of the entire web is powered by Joomla and, as you’d expect, has a huge host of features that you’d need. It’s worth exploring all the core features as there is a lot to go through. I spent about a week using a Joomla website once and, although it did everything we needed it to, I found it a lot harder to customize and tweak and expand than a similar WordPress installation. The back end feels somewhat dated, but I know many people prefer it. Highly recommend you jump in and look at the features and try their live demo and see if it is a fit for you. All you need is a LinkedIn account to get started. However, just like other platforms, there’s no guarantee that it’ll exist forever if the site itself becomes unpopular and therefore your content may be at risk as compared to when it’s published on a self-hosted blog. Has the potential for a lot of reach but also mainly only read by people on LinkedIn and about topics related to work and those niches. Template-customization options. An active social-networking community. Mobile and voice-posting options. LiveJournal isn’t as user-friendly as the competition, but an extremely active community and a good amount of customization options for Web-savvy users make this blogging service worth a look. Pricing: Free. Some paid services and themes through the LiveJournal shop. Shows ads within dashboard. 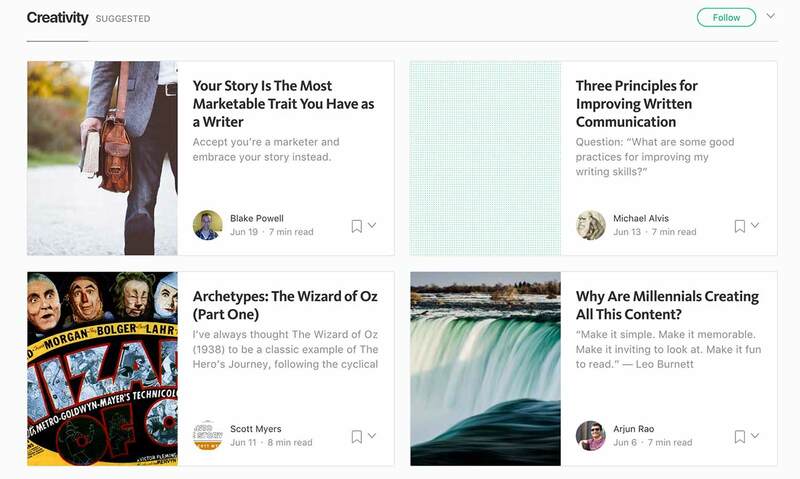 Medium is a free platform which is specifically content-focused and suits writers. It’s made a lot of waves in the blogging community lately and is easy to use and very beautiful in terms of it’s simple layout and white space. I’ve chosen it as one of the recommended free options as it is a really good way to learn to blog and, although it won’t be the right choice for a full website/blog option, it connects and integrates with Twitter nicely and as such can help you get your stuff noticed easily. Has nice features like the ability to highlight and share certain paragraphs of text, bookmark articles, etc. Moonfruit has been around since 1999 and seems to be a quick and easy option if you want to get a website up as fast as possible, but after that it seems like the template might be pretty locked in once you’ve built it. Has great support options and is always mobile responsive. While it has some cool features I don’t think it is robust enough for a long term blogging solution. They do seem to have new features on the radar so maybe keep checking back and see what’s new. Pricing: Lite plan starts at $6.75 and offers one site, up to five pages, 10GB Bandwidth, 500MB storage. This is a pretty cool looking website builder that could be quite useful for agencies. However, we discounted it immediately from our recommendation list as the starter plan only allows you to send one newsletter per month, which is really insufficient for bloggers. That being said, there are a lot of good testimonials for this site so it may be worth investigating if you want a really easy way for building a quick website and the specs are quite good. Pricing: Starter plan is $8. This is actually a pretty cool site that, while not a blogging platform as such, is a super fast way to get a piece of content online. 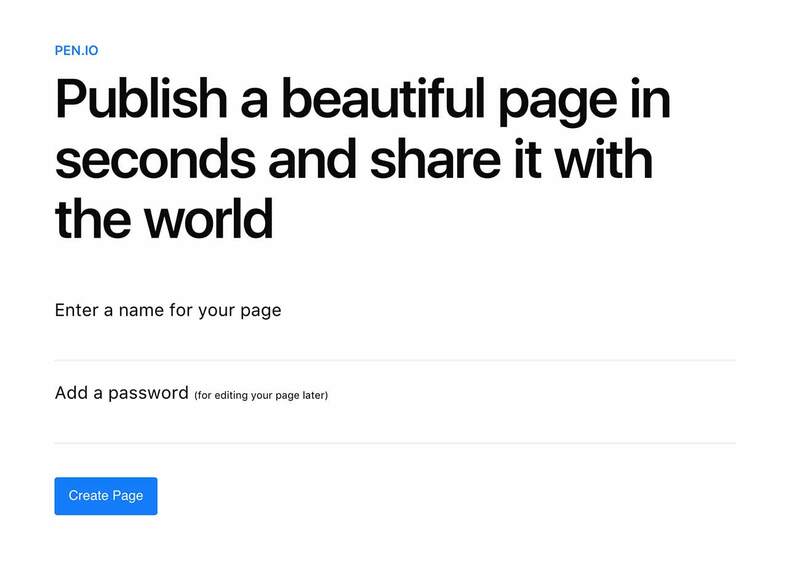 All that it asks for is a name for your page and a password – you’re done! No email required either. Others can access your content through the initial password. Might be useful for those who wish to share something with their circle confidentially. This one is an interesting option that is focused on those who wish to have an online journal. You can use three types of journals using Penzu blogging platform: DailyDiary (public can read your content), Expressive Journal (private), and Travel Journal (especially designed for travelers). Pricing: Free plan is available. Pro plan available at $19.99 per year. Pro+ plan available as well. Only one of its kind. The whole premise of Postach.io is to negate the need for users to use a separate blogging tool, working instead with the popular note management system, Evernote. Postach.io essentially turns Evernote into a content management system, which allows users to sync notes directly to their Postach.io blog. Very cool idea and worth taking a look at if blogging is new to you. This is a pretty cool minimal option that lets you do some unique things like posting from your email. While it is marketed as a “no fluff” option, there are also some basic features that are quite useful like being able to view all your subscribers, make images retina friendly and so on. There’s a free demo which I would try before committing to the platform too much. Posthaven’s main point of difference seems to be the strong statements that they make regarding their pledge to keep your content online forever. The promise not to get shut down or acquired and, as such, your posts will always be safe with them. They have their own themes or you can build your own, and you can post by email if you like. Hasn’t been launched yet but we’ve included it here because it looks like it could be cool. Sett is a blogging platform that lets you tap in to an audience right away by syndicating blog posts to other Sett users in similar interest groups. They claim that people who use Sett experience almost a 98% increase in comment counts, which is pretty impressive. There are quite a few examples on the homepage of posts that have gone somewhat viral, but the platform itself is missing some flexibility that you might need for professional blogging. Still worth a look. Pricing: Free plan available. Paid plan with additional features starts at $12. Another minimalist platform with most of the essential features included that works as a subscription service. Several themes available and there are two UI options to choose from. One unique feature is its Github support to directly upload Github articles and they offer a 14 day trial for you to explore. The typography they chose on the site is a little unfortunate and I don’t think it enhances the minimal branding they are going for. SITE123 is a multilingual website building platform that offers 69 different languages to build your website. Responsive design, free image library, 24/7 support, and lots of other useful features such as restaurant menus and online store integration for those who need it. Looks like a good basic option but it’s uncertain about how advanced it can go in terms of integrations that you need to grow a blog. Pricing: Starts at a free 500MB storage 1GB bandwidth option and then pricing goes up. Sitey is yet another website builder that is difficult to tell how it really differentiates from the other options despite having some nice features for beginners. There’s 24 hour support, shop options available, a drag-and-drop editor and hundreds of responsive templates. Pricing: Starts at a free option for 50MB storage (which is barely anything) and then moves up. Strikingly is a very beautiful looking blog site and website builder that has a very simple model for building sites that will appeal to a lot of beginners. It has been used by some pretty big entrepreneurs and has some nice endorsements. Has scrolling single-page design with sections to which you can navigate. 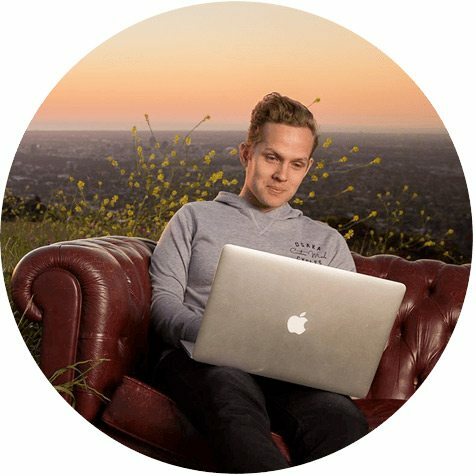 Free accounts get a yoursitename.strikingly.com address, show a Powered by Strikingly badge at the bottom, let you sell one product, and limit you to 5GB throughput per month. Could be good for simpler needs. Pricing: For $8 per month, you add a custom domain, increase the monthly bandwidth to 50GB, and raise the number of products to five. If you’ve ever listened to a podcast you’ll know about Squarespace as they are prolific sponsors and have done an excellent job of encouraging people around the world to start a website or blog on their platform. It’s popular, beautiful and it’s easy to see why people love it. Responsive design for mobile screens. Lots of website-building tools and options. Deep selling capabilities, including digital downloads. Free SSL certificate. Good help and analytics tools. Less straightforward than competing site builders. Fewer and more-restrictive templates than the competition. No free level. Lacks third-party widget marketplace. Little customization for mobile sites. Squarespace has a real focus on design and as such it is the choice of a lot of brands that want to showcase their work, products, or art in a very stylish and modern way. Although you don’t have the same level of customization as a blogging site like WordPress, a lot of the stuff you want is already built-in and ready to go. Worth a look for many bloggers. Pricing: Free 14 day trial available. Personal plan starts at $16. Really cool concept that claims that you blog will remain online forever. It is set up to help you come up with concepts and ideas as you blog, and so might be slightly different than just a blog hositng platform or regular site builder. 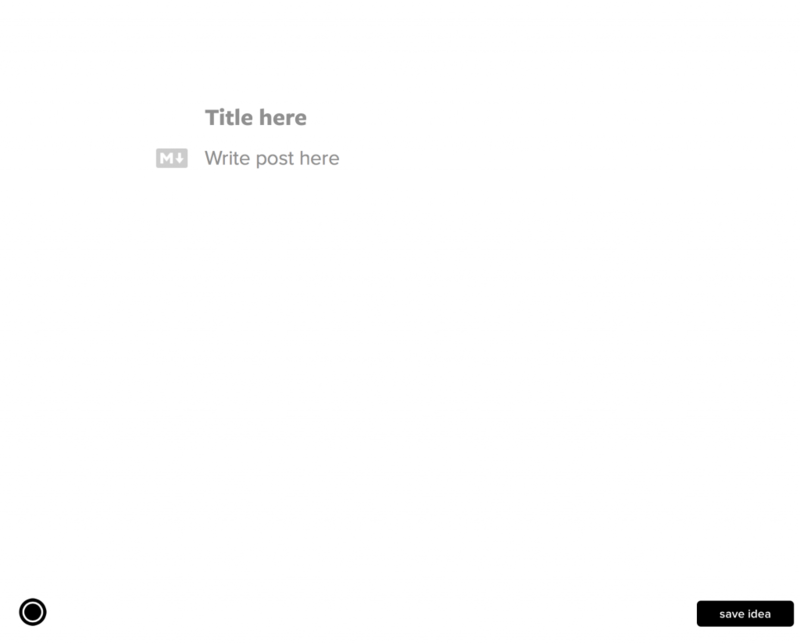 Very minimal and beautiful feel to the site and clears out all clutter as you write which is an idea that really appeals to me on the days I just need to write. 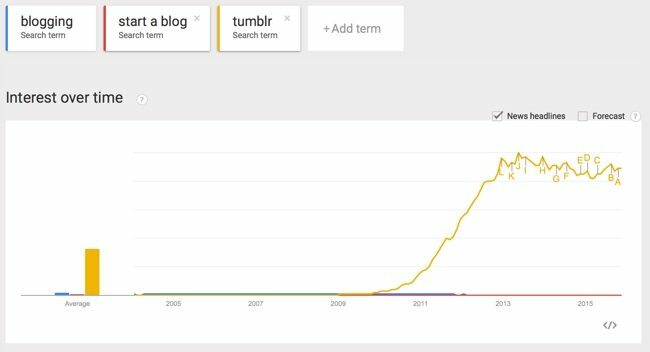 Tumblr took the blogging world by storm and is now one of the most popular services on the planet. It has a very distinctive feel and set of features that seems to appeal to younger audiences and fast-paced content like memes and so on. It’s generally a micro-blogging and social networking website owned by Oath Inc. (Verizon and Yahoo!) that allows users to post multimedia and other content to a short-form blog. It’s somewhere in between Twitter and Medium. Pricing: Free. 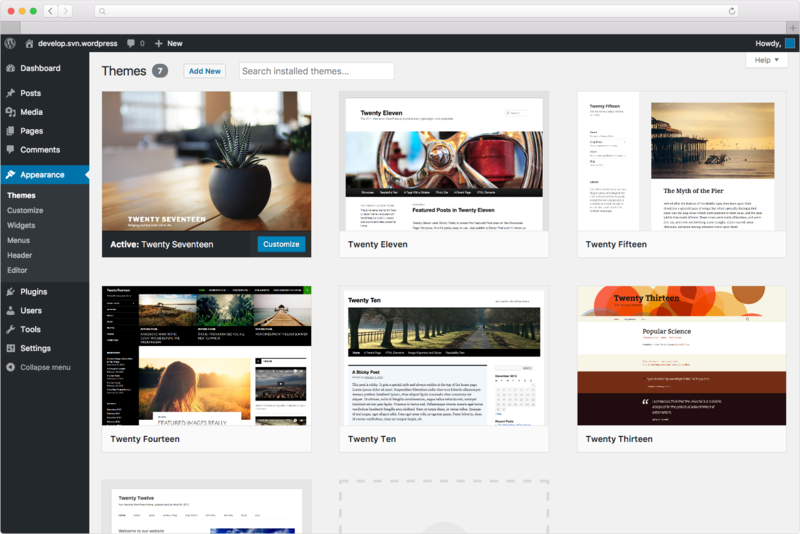 Tumblr sells premium themes for prices ranging from $9 to $49 each. Typepad offers robust tools for site management, SEO and controlling how your blog is promoted. Designing capabilities are limited without HTML coding, so this would be a service best suited to bloggers experienced in web design, but they do promise excellent support. TypePad requires a premium subscription, and its preset templates and themes aren’t as varied as other services, even free blog platforms. Seth Godin uses this. Pricing: TypePad Basic service, for one individual, starts at a reasonable $8.95 per month, while TypePad Pro service, allowing multiple authors, costs $49.95 per month. Ucoz is a website template builder that comes with some good features but it seems as if you have to pay for one of the higher monthly plans to access things like a true responsive mobile design that, we think, should be default by now. Has some strange features like image watermarks added on your photos unless you choose one of the higher plans. There may be a reason for doing this but, to us, it really seems like it would scare off users. Pricing: Free plan shows ads, storage up to 400MB, mobile version is a basic PDA. Another website template builder with some extra features added along the way that seems to be aimed at small businesses instead of individuals. Live chat support. Automatic and manual backups. 200+ designs to choose from. You need the Pro plan in order to be able to edit HTML. Pricing: Plans start at $4 per month. Quora’s aim is to make knowledge more available to the masses and it has done a really good job of doing what it was designed to do. It is based around a question and answer format and isn’t really a blogging platform as such but a place you can share the things you know, answer people’s questions, and so on. 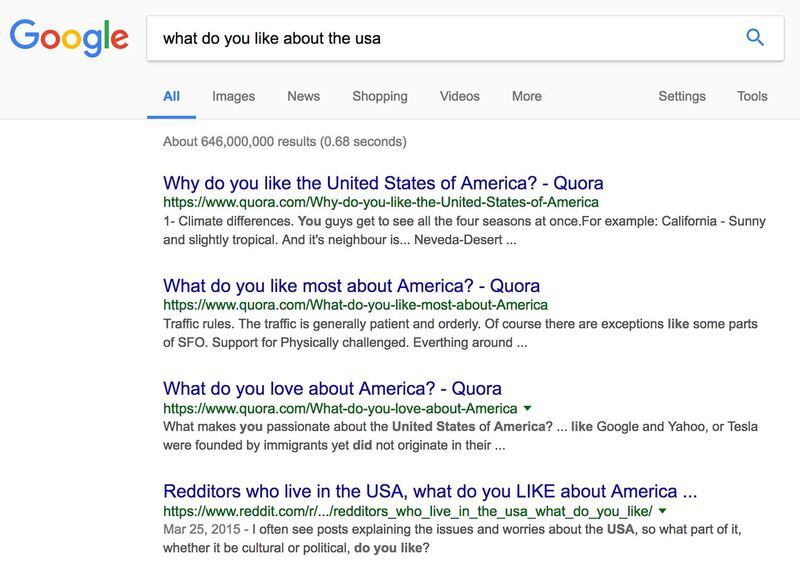 You regularly see Quora posts on question-based SEO results like the one above, which is pretty cool. Your domain will have “quora” in it. Perhaps a good optional extra to have alongside your blog, but possibly not the best for your main base. Essentially a website builder but with unlimited space, large collection of themes, mobile responsive and widgets. Can be connected to an external Tumblr blog. Pricing: Single plan is $10/month. One year free virb student program. Voog is a stripped-down, beautiful yet simple website builder with a particular focus on the easy creation of multilingual responsive websites. It supports contact forms, online store and other basic features like mobile responsiveness. Pricing: Plans start at $8.71/month which includes 2 GB storage, 3 users, 30 pages, 3 languages, custom domain password protected pages, fully customizable design, API access, etc. Webnode is a really simple website builder that has some visually stunning themes to work with as well as features like an online store option, mobile ready, and no ads on site. Over 27 million people use this service which is an excellent endorsement. A little bit confusing as home page says it can be free but the pricing page only lists paid options, and the templates on the personal/free blogging section look a little dated. Would be good to explore this before starting. Pricing: Basic plan has 100MB storage, 1GB Bandwidth and starts at $3.95/month. Simple drag and drop interface makes building websites easy. Has a free option, but displays ads on your site. A custom domain name comes free with all paid plans. Need to pay extra for things like advanced stats and the ability to integrate a store. Pricing: Starter plan is available for creating a basic site for $5.99/month. Webstarts claims to be the number one website builder of 2017 and hosts around 3.8 million websites, which is pretty amazing although I couldn’t find any criteria for the rating. Online store option available, automatic domain setup and online store and CDN. Free plan available and offers 1GB storage but appears to show ads. Pricing: Pro plans starts at $4.89/month and offers storage up to 5GB, bandwidth of 25GB, and removes ads, along with providing some additional features. 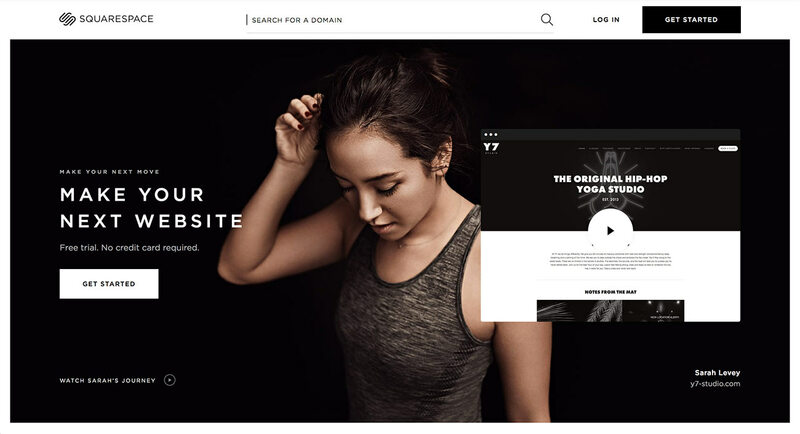 Another website builder with all of the expected features including over 10,000 theme combinations, custom domain names, mobile responsive templates, support, etc. Has a free plan but it is extremely restrictive with things like no option for mobile responsive sites or email. Pricing: Premium plan starts from $5.99/month and provide free domain, free hosting, free ad credits, seo and marketing help, mobile sites. Higher plans include free email, priority support and ecommerce. 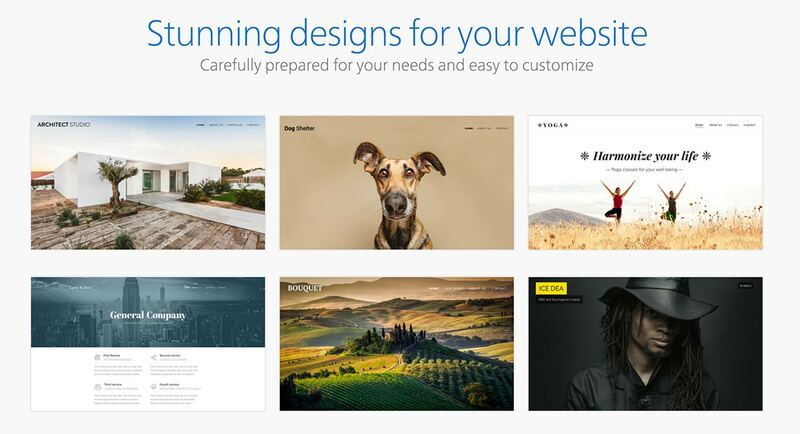 Web Start Today is a premium DIY website builder that helps you create professional websites for free. Has a widgetized site builder, but it seems as if you have to pay extra to have a mobile responsive design which is a bit of a shame. Pricing: Has free options but uses their domain name. $4.99 p/m standard plan with 10 Pages, limited storage and bandwidth, ad-free, 2 email accounts. Weby Do is a really beautiful looking platform that focuses on being able to craft nice designs without using code and is really meant for web designers building sites for clients. Might be a little on the expensive side for beginners, but could really suit some custom situations. Really like that you can suggest and then vote on the next features you want added to the platform. Pricing: $75.00/month (monthly plan) with email support for up to 10 sites. Weebly has become a pretty recognizable brand name among small businesses and people who are just starting out on the web. They’re marketing has been very good in that sense. It’s a simple, reliable free option that now powers over 12 million websites. The place a lot of emphasis on helping you do your own marketing and email list management which is really nice if you need a blog site that will help you build a blog for the purposes of growing, for example, a physical store or business. Pricing: Free plan available but you’ll want to go up to at least the third plan tier to get all the things you’ll need over your blogging career. Wix is another blog site and website builder that has made huge inroads in the booming small business website market – you see it almost every day for local businesses around your town. It has some good and some not so good features. They offer over 510 professional templates, and have a drag and drop website builder and features that is focused around industries like Art, Music, etc. There’s a mobile editor that allows you to edit the mobile version of your site separately. With Wix app market, you can add functions to your website, such as live chat (for customer service), newsletter, testimonials, reservation/booking tools, contests, pricing tables, etc. One of the drawbacks is that it seems as though once you’ve picked a template to use you can’t switch to another template without re-inserting your content. If you are using Wix’s free website builder, it includes advertisement logos. To remove the advertisements, you will need to upgrade to at least their “Combo” premium package. It’s not designed to manage complex e-commerce needs. Pricing: Free and then paid plans start at $4.50/month. WordPress.com is the free version of WordPress.org where you essential use their blog site for your blog instead of installing it on your own server. It is extraordinarily popular and has some (but definitely not all…) of the features we love about WordPress.org for professional blogging. Users can upgrade to a custom domain name. The solutions to user’s problems are found within the active forums and the site’s in-depth tutorials. It can be used for building a site, blogging, or an eCommerce site but lacks a lot of the themes and plugins and customization options that you get with the self-hosted version unless you upgrade to the Business Plan. We often recommend this as a good free starting point as it is then quite easy to migrate to a WordPress.org setup as opposed to if you started your free blog on a totally different platform. Read the next one to see why it’s a step up. Pricing: Free. Charges for other additional features such as custom domain or third-party themes and plugins. WordPress.org is the open-source free platform that you install on your own server. It has been the most popular blogging and website building software for a long time now, and it has been the basis for all of our online businesses, including Blog Tyrant. We have some more details about how the WordPress.org and self-hosting setup works here if you’re interested, but the main thing to know is that you need your own server and domain name, and then you install WordPress on that server and use it as your blogging platform/dashboard. It sounds simple but it only takes a few minutes and the process is automated on most hosts. Here’s a guide on how to do it. WordPress’s main advantages is that it is open for programmers and designers to design themes and plugins and as such there are literally hundreds of thousands of ways you can change your whole blog by just installing a simple plugin or theme that behaves differently. There seems to be a re-launch of this blog site happening soon but the website is a little bit confusing at the moment. We’ve left it on the list and will update it should they launch the new thing. You only get a three page website on the free option and have to upgrade to the top platform to get most of the necessary features. Has a 30-day money back guarantee which should be essential for all blog site and website builders. Pricing: Free and upgrades available. Zoho is more than just a website or blog builder in that it encompasses and entire cloud software suite that businesses can use to run a lot of their operations from finance to marketing and promotion and sales. A lot of bloggers will find these features unnecessary as they are intended for bigger companies, but it’s interesting to find a place where they are all integrated nicely, and it’s been around since 1996 so has a very solid reputation. Pricing: Basic plan available for $5/month. Most requisites for a well working blog are only fulfilled by the Standard plan available at $10 and beyond. What blog sites or features are missing? We’d really like to make this resource as accurate and comprehensive as possible so that people can easily browse a list of blog sites and then dive deeper into their own exploration. What blog sites are missing, and is there anything you’d like us to change with the format or features listed? The guide you have produced is long and incredibly valuable. This comment is not long (and its value is questionable), but it doesn’t have to be. All that is required is this: thank you! I thought it was comprehensive. This post beats it hands down. Very informative and a great resource. Aw, thank you. Hope it helps someone out there. That’s a huge list of blogging platforms and frankly speaking till now I have used only a handful of them. I like WordPress and have used it from the very beginning, but it’s always nice to have options. Thanks Shafi. WordPress is still my favorite as well. That’s a very useful list for people who want an overview of all sites.Wordpress I love .Both the free and paid.But I like medium too.Though a little restrictive. Writing such long posts is a SKILL which requires patience…. I had help researching this one, so I think in total it probably took about a week. This is super helpful! I am looking to start my first blog soon! I shared this to Facebook! This is a complete booster pack for every beginner who wish to start with their blog, though I love using WordPress..I came to know a lot of other mediums as well. Yes, WordPress is still my favorite blog site as well. Outstanding research and commentary. Good stuff! I’ve tried a handful of these options. After reading the recommendation here on Blog Tyrant, I started using WordPress. Love it! Thank you, Ramsay. I’m so happy it’s working for you! Drupal is another option. I used that long before I used wordpress. By the way, do readers want to start a blog or a business? Maybe I’m getting a bit jaded and I know everyone has to start somewhere. I just find having a business mindset helped me go from a blog to a business. Ugh how did we miss that!? I think this is the most complete list I’ve found online. One thing’s for sure, I knew the winner of this list! And thanks to experienced bloggers like you, I’ve made the right choice a few years ago, when I was just starting out with blogging. 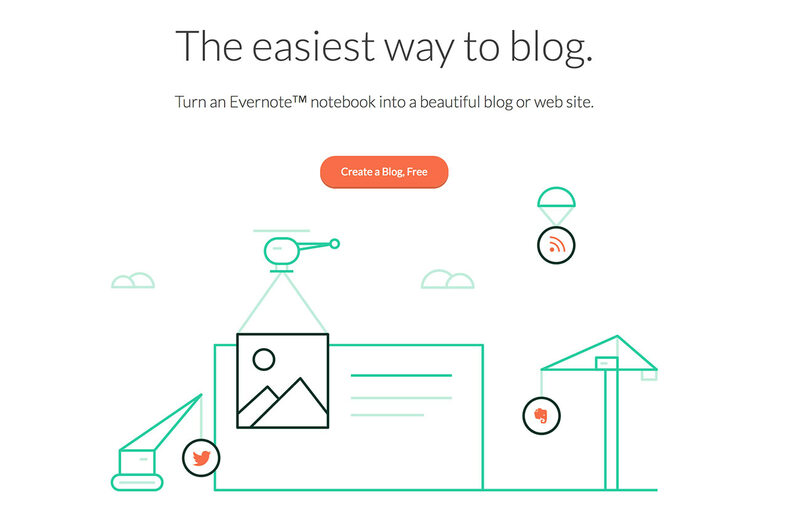 Wow such a huge list of blogging platforms for people who want to get started blogging. I personally, haven’t used any of them. Like you, I think WordPress is the best. I tend to prefer what I get used to. I know that a lot of people I meet on Facebook groups are using SquareSpace and love it. I am very happy with WordPress and will continue using it for my blog and my freelance business. Thanks for sharing this list, it’s nice to know that as bloggers, we always have a choice on which platform we want to start with. Yeah it seems like Squarespace is doing some great things. First, a big thank you for this list, Ramsay! As a Gmail user, I chose Blogger without much thought. My thinking was Google would integrate services really well. I am pleased to say Google has delivered on that. Their economical options are well worth considering. Now that I’m hosting 23 Google+ Collections and two blogs, I find that I’m pretty much locked in to my original choice. WordPress was second on my list. Sometime in the future, I may investigate that option. In the meantime, however, I’m having fun on Blogger, even without using all its options! Do you ever feel like you need more ability to customize or is it all pretty well taken care of? No. I am focusing on creating content and don’t have much time to think about customization. I used to have my own site (spiderdawg.com) which I designed using Tables jazzed up with tips I found in the “HTML Goodies” series. From that experience, I learned that site design was difficult for me. It was time-consuming. New site design products (Dreamweaver, etc.) multiplied like bunnies and I could not learn fast enough to keep up. I didn’t enjoy it at all. It is the excitement of discovery that I love to share and it really doesn’t bother me that my current sites/blogs look like pretty standard fare. Somebody else can design and build my “house.” All I want to do is live in it. John, for that, you have to step into something like your own hosted web site. Staying with the wordpress route, check out the rainmaker service or the studiopress service – both via the same company. Alternatively, look at an external option like Teachable. Thank you. Great list that gave me several new platforms to check out. I suspected there were a lot of blogging platforms but didn’t realize how many until now. Yeah, there are so many. And we cut out a lot that really weren’t worth mentioning. I previously had a WordPress.org site, sadly it got hacked so I lost heart. Unfortunately that does happen. Sorry to hear. It’s important to have good security practices with any hosting platform, IMHO. Wow, great list! I’ve pinned it. 🙂 Thank you! How would you use Quora as a blog or website? I’ve seen some instances where people use it as a bit of a “side gig” where they write really great answers and use those answers to sometimes promote their main thing. Ramsey these is amazing. thou am a beginner, i love the post a lot. i will take my time and go through the rest of your other posts. This resource is as helpful as anything to us new bloggers. I plan to use WordPress.org for my blog as I’ve heard and seen all the goodies it comes with. All thanks to your blog, Ramsay 🙂 It was the first blog that I new about a premium WordPress lol* (Remember watching one your videos on YouTube about that. I think a year ago). Thanks Ramsy, you always crush it! PS. Your blog was also the place I learnt what blogging really is and decided to take a big leap and start a prof blog. Thanks mate. I really hope it helps you. Best of luck. I might have touched on this subject before with you but I noticed that very few have heard of the blogging platform called “Solo Build It”, also know as sitesell.com. They are a Canadian Company. I have been running my website/blog called “Luxury Thailand Travel” for almost 10 years now. The reason I was introduced to this particular blogging platform is that Solo Build It provided me with all the tools to run a successful website. My site now ranks in the top .05% of websites worldwide with up to 10,000 daily pageviews. The cost is $299 per year. Everything included. I have another website healthtaboo.com which I created using WordPress only to see how the different platforms work but I have to say that Solo Build It works for me. Why not have a look at it and see what you think? Maybe some of your readers might want to give it a go. All the best to you and keep up the good work. Interesting. Going to check it out today. What a top notch and extremely comprehensive post!! Besides, I really like the fact that you have given enough importance to the price tags to mention them in a separate paragraph rather than including them all in the main description of the respective sites itself .. Thanks for your precious time..
As always, WELL DONE! I just wanted to say thanks for your hard work and to mention the platform I use for my nurse blog at HaveMursey.com. I use WIX. They’ve recently upped their game in a big way. Oh really? Could you elaborate? You bet. Their platform used to require extensive html coding knowledge to create a decent looking website. Unfortunately for me I lacked the knowledge, the time, and the desire to learn it. I gave up. Last year someone suggested I re-visit the platform now. I was very impressed. Easy to create pages, lots of templates, and some of the newest features I’ve seen on larger, corporate websites. Anyway, hope that answers your question. Give it a look. Awesome list and info-graphic. Love using WordPress for blogging and Quora for traffic! Question. Do you have an affiliate offering? I’d like to recommend some of your products as an affiliate of yours. If possible, please let me know. If not, I might do it anyway, but that’s not as much fun. Hi Steve. Thanks for the offer but we don’t. It is really good post for them who want to start their blogging journey. Great list….great fan of google’s blogger, a free and very easy to use blogging platform….and as you have already mention WordPress the real winner among all…thanks for sharing all these helpful information..!! I might have to check Blogger out again as a lot of people have said that it has improved a blog site. Excellent Resources! I tried to find some website if you were really missing! But, it was hard to get one! Thanks Ramsay! All I must say is WOW! What a fantastic job! Thanks for the share. Thank you! Hope it helps someone looking for a blog site. Oh awesome! Haven’t heard of them. I’ll get on it today! Wow! Once again, you’ve gone over and beyond! What a comprehensive list! Thank’s for sharing! Thanks for this great list. May I ask you, what criteria are you using to rank WordPress as the all-round winner? I’m hoping this list turns into an ultimate resource for all bloggers. It’s definitely going to snowball through the comments. After Chris mentioned how Drupal got missed out, I did a quick search for ‘list of CMS.’ There’s a gigantic list of CMS options out there, especially the one on Wikipedia. I’m happy that this list mainly focuses specifically on blogging platforms. Though, I wonder what would be the best way to organize this list. This list is just what I needed and all the information provide is just awesome! I’m trying to get a blog set up and this has been extremely helpful. Thank you! Thank you for these awesome references. Hey, nice post. and I agree that WordPress is the best platform for blogging. This list is just what I needed and all the information provide is just awesome! Thanks for putting effort to gather and build this great list for us to refer. It will for sure keep us busy for quite a moment to finish reading all these resources. Thanks for sharing! I can’t believe Moonfruit is still around (I used it to create a very short-lived fan site before they started charging.) It was flash-based back in the day, so it had drop and drag functionality. Another newer option, maybe pricey depending on need, is PageCloud. It looks like they only have one price/tier, but it includes hosting. I personally prefer blogger and WordPress. They are the best.